the serverless school: SaaS Cost Shock for Schools. SaaS Cost Shock for Schools. Here's a shock announcement for all schools considering replacing on-premise servers with Software as a Service (SaaS). A subscription based SaaS service can always be proven to be more expensive than the traditional on-site solution it replaces. It's not really a shock, more like simple math. If you sign up for a service that costs $1 a year for an infinite amount of time it's going to cost you an infinite amount of money. OK - that's a trick but you get the idea. The point is that evaluating the financial implications of adopting a SaaS service requires a different perspective to purchasing an on-site server to run a VLE. The most obvious point is that, with SaaS the school only pays for the service and nothing else. With the on-premise approach the consumer must first invest in hardware to host the service along with a covering warranty, a service level agreement (SLA) for the software and an ill defined, fuzzy grey area around backup, configuration, support and quality of service. With SaaS the investment covers the service itself, a proposition that's far easier to understand and plan for. When you subscribe to a SaaS service a service level agreement is implicit in the offering, the two cannot be separated. As an example Google Apps for Education is backed up with 24X7 phone support, 99.9% uptime and ISO27001 certification. Microsoft Office365 has something similar. For most paid subscription services a failure to meet the SLA may result in an automatic service credit or an extended licence period. 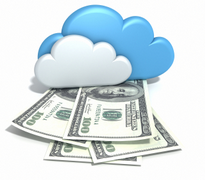 When an on-premise solution is proposed how often are the additional costs factored in? These include utility bills for power (heating up the server) and air conditioning (cooling down the server that you've just paid to heat up). There are also charges around providing security, backup as well as as the inevitable upgrade cycle. These are the obvious culprits but the hidden costs are even more insidious. These include software upgrades and the investment in local expertise to manage the whole complex environment. How many school (and small businesses) have been thrown into a spin when Dev or Sue decides to leave, taking their knowledge of the IT system with them? Maybe you can fall back on the documentation but pressures on time and the constant upgrade cycles mean that documentation is rarely maintained or kept up to date. Is it important that the blue box in the corner has a flashing red light, who knows? A SaaS solution is simpler due to the fact that the customer only has to manage the service and not the supporting platform. It has no flashing red lights. Well it does, but you don't see them and more importantly its not your problem. When upgrades are scheduled they are handled automatically which means the upgrade cycle for SaaS is significantly faster than on-premise software. Given any requirement with a fixed budget, a SaaS solution will be cheaper in the short term because so many of the services are free and initial barrier to entry is so low. In the long term SaaS needs to be viewed as part of revenue (like water and electricity) which can be turned on and off, not a capital investment project. At time when schools looking to build a sustainable, long term IT strategy surely answer can’t be to commission more on-premise servers. That shouldn't be a shock.